Spray Foam Removal Tool. “The finest spray foam insulation removal knife in the industry”. 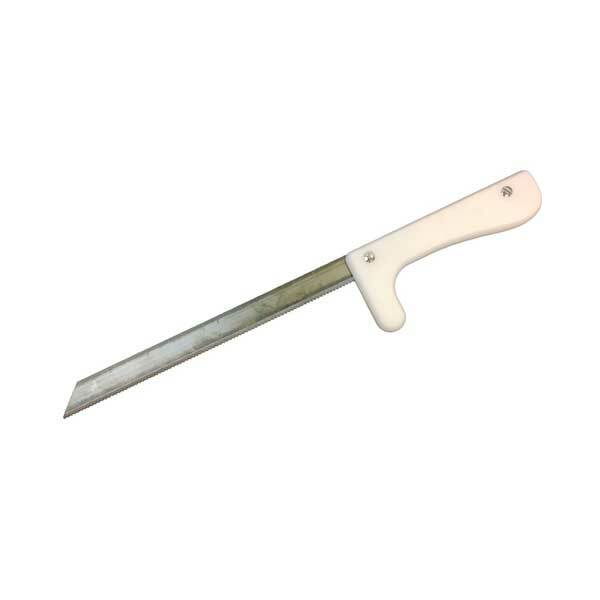 Our Handles were designed to reduce the risk of hands accidentally sliding forward across the blade, in the event of a sudden stop while cutting with it. They have high impact resistant handles and extremely sharp replaceable serrated edge blades. 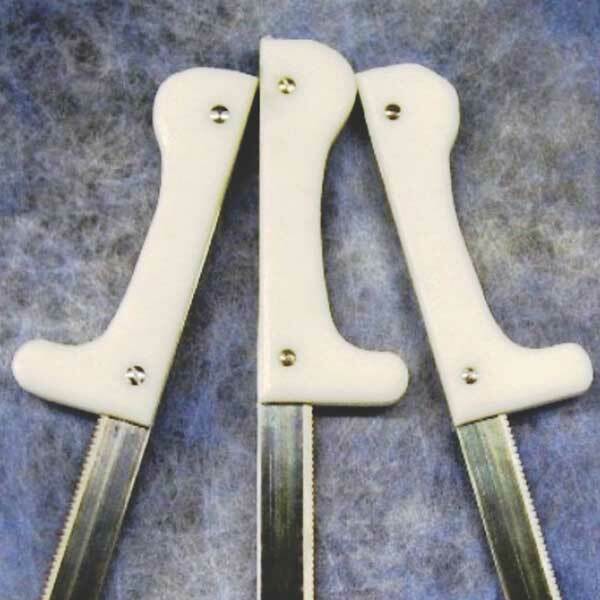 Our soft foam knives can be sharpened a number of times before needing to be replaced. “SHORTY”, with it’s 11″ cutting edge, is perfect for all those hard to get at spaces in closets and corners. Replacement blades are available for this tool. !!!WARNING!!! “SHORTY” is extremely sharp. You must use caution, wear protective clothing and Good quality heavy duty gloves when handling this tool. Pricing is per quantity of 1 knife.